Discussion in 'Draft Games Forum' started by Indnyc, Sep 12, 2018. Poll closed Sep 13, 2018. The inspiration behind this side is Pep's City of last season — mainly the proactive approach, directness and an unorthodox use of fullbacks. We thought that this concept will allow us to highlight some of the lesser-known players as well as using others in the unusual roles that we think they'll excel at. The basic formation City employ does not provide anything spectacular. It is instead a rather customary shape which you can find across all professional leagues in Europe. The details, however, carry Guardiola’s thumbprint. The key battle would be in midfield, where we would have an advantage in numbers (thanks to false fullbacks), workrate and even head-to-head records (Litmanen being a proven nuisance to Redondo is the obvious example). It is something that Pep experimented with at Bayern as well, but the use of false fullbacks at City was a little bit more nuanced. From the very beginning we wanted Zanetti (with his experience as a RB/RWB/RM/CM — and that's not even counting the left wing) and Netto for those roles. I'll make a more detailed post about Netto, but he's really the perfect man with his unique skillset (played all over the wing before settling as a left-sided center mid) and a Guardiola-esque view of football. Like with Delph and Walker, Netto and Zanetti won't be playing mirrored roles — and while both are well-capable of playing as false as well as traditional fullbacks, Netto will more often join the midfield while Zanetti will mostly provide overlaps for the attacking runs of Eto'o. Both of them possessed incredible intelligence and understanding of the game, which will help them decide on what to do at any given moment. Bastian Schweinsteiger. The most complete midfielder of his generation, Basti excelled in multiple philosophies, but his unique blend of physicality, mentality, tactical and spatial awareness and top-notch passing game makes him a perfect fit. His MotM performance in the 2014 WC final is the golden standard for this role. Goal is marshalled by Albertosi, one of Italy's greatest ever Keepers. Solid defence with Picchi sweeping flanked by 2 solid stoppers in Stam and Walter Samuel. Nilton and Kaltz will provide the width. Redondo/Zito will orchester the game from the deep. A complementary pairing to get the best out of both of them. Laudrup will be the main playmaker. Rivaldo will have a free roaming role with Shevchenko leading the line. 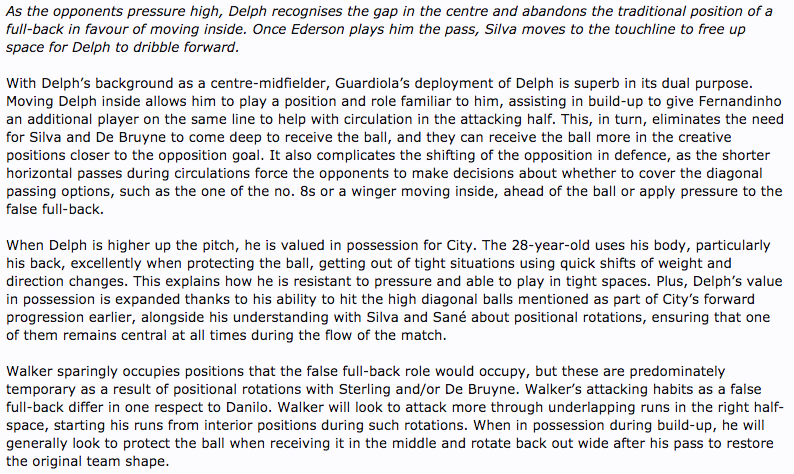 Laudrup's ability to play deeper will ensure there is no overlaps with Rivaldo. If neither are present, I'll present some arguments for Moby/TRV to get this going. A homage to a city side? Ewww. This. Replace Finney with Tevez and it's entirely pukeworthy. Anybody who votes for harms/sjor is a massive false red. A few bits on my players and their suitability to the system. Netto loved when the game plan was precise and clear. At the time everyone had a strict position. We've had 2 main midfielders at Spartak, Maslyonkin played on the right and Netto on the left. We were about to start another game when I’ve seen how Netto goes to the center of the pitch and begins to draw a line with his boot — a vertical one, of course, and says to Maslyonkin: «You stay at your half and I’ll stay at mine». Turns out, in the recent games Maslyonkin a few times drifted to the left and, as Netto thought, interfered with his game. Netto was an adept of the rational game. Once Sergey Salnikov, a very technical player, did a little bit of showboating and Netto snapped at him: «Are you playing for the girls?». Really reminds me of Pep and his obsessions with zones. Basically from training to the game, up until the last third, he [Guardiola] used to call it the ‘three Ps’ - play, possession and position. And the most important one was position. You have to stay in your position, trust your team-mates and allow the ball to come to you. In training, to make you understand that, especially for Xavi and Iniesta, he would put cones [down] and up until the last third, guys who were playing on the right were not allowed to cross over to the left were not allowed to cross over to the right, and on the left you were not allowed to cross over to the right. But the last third was freedom for us. Netto's other teammates about him and his playing style. In 1952 he already stood out with his skills on the ball and an eye for the combinations. Not only would he make a good first pass, he would make a run the moment he parted with the ball, opening himself up for his partners and providing an option for a potential attack. In 1949 there was a change of generations at Spartak Moscow. 19-years old Netto was invited to the first team and from the very beginning he became an important player for our team — firstly, because he suited our style so well. At the time we almost had a cult of the passing game, and Netto loved and thrived in it — he was a master of a short and middle passes and his timing and decision-making was impeccable. Why do I consider Netto a great player? He was a player with immaculate technique. There are different type of techniques though. On one hand you have those showboaters that will fascinate an inexperienced viewer with their bag of tricks. On the other hands, there are players who can find their way out of the most difficult situations — be it with a dribble or with a well-times pass. Netto was the epitome of such footballer. He had an instinctive dribbling — he never planned it and he improvised depending on the situation, equally capable of going left and right, and succeeding most of the time. And his passing, mostly short or middle, was close to perfection. What the hell is that writeup and graphic for our team. Can you restart the game wjen TRV submits our write up? Harms himself was busy till Tuesday. It's wednesday and it's been decided that our team will be taken over? Unacceptable. Everyone puts in equal effort to get these games done so at least be a little sensible especially when TRV updated that he was gonna submit it soon. You already know the circumstances, this wasn't delayed out of laziness. I had to leave due to a major surgery and half my body isn't mobile right now. Finding a replacement and giving him time out of his schedule to get into this would obviously take some time. Sorry but that's pretty disappointing and awful move by the mods. I have no problems with restarting the game, obviously. Can you restart the game wjen TRV submits our write up. Harms himself was busy till Tuesday. It's wednesday and it's been decided that our team will be taken over? TRV did not need to wait for harms to submit his writeup? The match draw was made well in advance and dates were agreed on Friday. I reckon enough timings (last pick was made by TRV last Thu making it nearly 1 full week) was provided to submit a proper write-up. @Indnyc made it clear that we wanted to start reinforcements on Thu and we waited till last moment to start the match. Happy to restart the match, but your team should make sure you don't delay the draft beyond reasonable time. We've already shared Jari Litmanen's sublime performance against Fernando Redondo, where he basically played as his man-marker (a role akin to Park handling Pirlo) and still managed to score 2 goals (1 was wrongly disallowed) — it's in the OP. So, a few bits on him and the system/Guardiola etc. "I’ll never forget the lesson Jari Litmanen and Ronald de Boer gave me,” he wrote in his autobiography. “These were two guys that, because of injury and other reasons, weren’t that well received by the fans, but they couldn’t see what I did every day at training. They were superlative. Positionally and tactically, they’re different to the rest. It was here that Guardiola first appreciated the notion of players who submit to the tactical system, something he had already admired in Litmanen and De Boer’s former team, 1995 Champions League winners Ajax. “They were marvellous,” he said in La meva gent, el meu futbol. “I’m talking about their tactical discipline and their capacity to apply it at exactly the right moment, above any kind of individual talent. "Too often when we talk about tactics, it’s in a disparaging way, as if the most talented can’t be used in such a system. From my point of view, to subjugate yourself to a team’s discipline, is to make a team. That’s football; view it as another way to develop your own personal talent"
Van Gaal’s Ajax side was as utilitarian as it was stylish – this was not death by a thousand cuts, it was snarling, in your face football. Jari Litmanen was a key component of this philosophy. The team trumped all others and there was no room for the roaming nomad. Each player had their role, and they were expected to sacrifice themselves for the team. 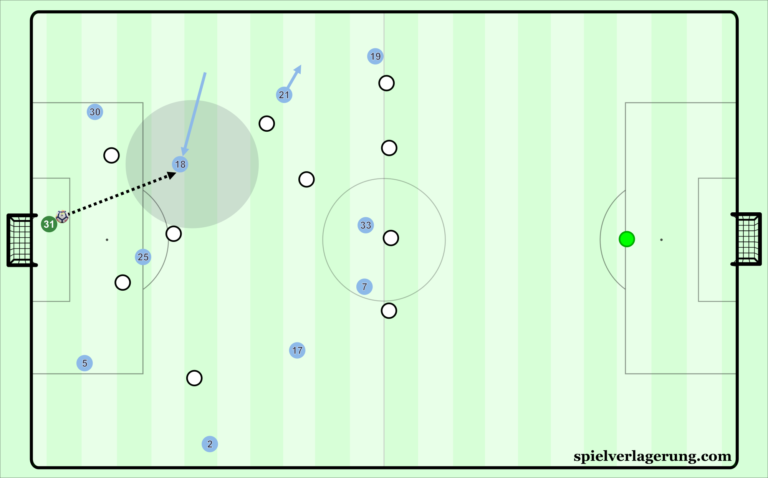 Ajax’s number 10 had a unique role, offering the first line of defence by pressing the back line and midfield. Dutch football writers Kormelink and Seeverens believed that Litmanen “had to set an example by pursuing his opponent”. It meant that Jari’s abilities were, at first, somewhat stifled due to his defensive duties. Litmanen’s purple patch, as well as Ajax’s, would continue into the 1995-96 season. The hangover was non-existent; van Gaal wouldn’t allow such unprofessionalism. Litmanen’s form was especially inspiring as he morphed into one of the games most deadly playmakers. A tenacious, quick-witted goalscorer with an eye for a pass, he was the perfect number 10. More importantly, his reputation in Amsterdam was growing, and the fans took to calling him ‘Merlin’ due to his unfathomable ability to drift between tackles. The season would follow a very similar pattern to the last: Ajax would win the league and reach the Champions League final, however, this time, fate was not on Jari’s side. They would meet Italian opposition yet again but they couldn’t upset the odds, losing the final on penalties to Marcello Lippi’s Juventus. Litmanen would end the tournament as top scorer with nine crucial goals, including one in the final. While it may have seemed like scant consolation at the time, he also finished third in the voting for the Ballon d’Or as he personal game reached its zenith. Sorry for not letting your reinforcements on Thursday as previously decided, can't thank you enough on showing so much support and understanding right now. TRV wasn't a part of the draft till few days back and agreed to take time out to take this forward. But it's okay. Carry on with the draft. Real class act. TRV took over last Thu (a week before, when he made the last pick). Surely it is sufficient for anyone to put up a formation/write-up? I'm not being really unreasonable here. Anyway let him submit today and I'll restart. @The Red Viper submitting soon? I quite like Moby's fake team. Spoke to TRV he is out of town as well . Harms wins this game . I'm okay either way, but let me know because I'm going to post more about a few players if this is an active game. Had Eto'o played much on the left? Yes, a lot for Mourinho at Inter. Whenever they had to protect a lead, it was Sneijder up top, Etoo bursting from the left flank and I think Pandev from right. The best example of course being that Barcelona game where they were down to 10. Quite natural from the left for me and I think Guardiola's system suits the inverted wingers more like Sane. I think that the midfield battle is going my way (the explanation below), which will obviously lead to more chances — and my defense is comfortable with a high line and can narrow the space to contain Moby's central-oriented attack. Mostly remember him on the right at Inter but fair enough, I hadn't seen that much of their games. The idea behind Finney/Eto'o's positioning is clear, with Netto joining midfield more we need someone who can play as an orthodox winger (hence Finney), and on the right with Zanetti bombing forward we are quite happy with Eto'o cutting in. And obviously, the keepers shouldn't be underestimated, although they always are. We have a keeper that would get into the most people's all-time XI — don't want to begin the GOAT debate, but he'll definitely be in consideration for that title, on the other hand the opposition has Albertosi. Even if for the sheer fear factor — remember even Mazzola's penalty, for example — he said that Yashin had hypnotized him and, when started running, Yashin's hands seemed to be everywhere while the goal suddenly became much smaller. I like the story that the first time that Streltsov made his (now trademark) backheel pass was against Yashin's Dynamo — they were desperate because Yashin saved every normal shot, so they had to improvise. Not to mention that Yashin's distribution was fantastic and not only he dominated the penalty box, he was one of the first sweeper-keepers and one of a few players that doesn't look outdated when you watch this 50's/60's footage. Etoo stronger foot was his right one though, dontd think he will be that effective cuttingcin on his left foot. Yeah, Kylian Mbappe has the same problem and i reckon thats why he struggles on the right. Mbappe is very two footed, is etoo similar? Messi played for a dysfunctional Argentina side and don't forget that he plays significantly worse for Argentina. Think this is harsh on Moby given the circumstances. I think he arguably drafted the best team in round 1 and deserves to be presented better. Love the idea from harms and sjor, but can't vote here. Even Salah plays on the right while hardly cutting in. But the system is very different and the role suites them there just like it does for Mbappe too. Think Firimino or Griezmann dropping and suddenly Salah or Mbappe being most advanced. Its also a trait of direct teams where such players excel. In a Guardiola esque possesion system, with Etoo being expected to cut in which already is different from how Mbappe or Salah function, its not the same thing at all. Fair enough, my (obviously wrong) memory of that season was that etoo was playing on the left and swapping with milito. Tbf there isnt a lot more you can do, moby unfortunately had a surgery and his replacement AM went AWOL. Well I’d delay the game given he’s still retaining an interest (only a day or so for him to mock something up or get a new AM - not indefinitely). The obsession some people have to plough through these things as quickly as possible regardless of real life events is crazy imo. He’s had to go in for surgery which sounds quite serious. Just seems to lack any understanding imo. TRV was chosen as an AM more than a week ago though, after a certain point you do need to get a move on otherwise the whole thing gets unnecessarily delayed and wednesday was chosen at TRV's request. And, of course, Ronald Koeman — probably the best and the most direct passer from the back of all-times (alongside Beckenbauer, but he was more lenient and preferred to bring the ball forward himself) will try to find my rapid front trio with his passes.